The dining room is one of the most important places in our house. Therefore you need to pack the things belonging to the dining room in a proper way. Here we provide you with some simple tips on how to store your dining room things while relocating. 1. Put all the spoons, knives and cutlery in a separate box – Simply wash all the spoons and cutlery and make sure that there’s no moisture in them. Store the dry things in another box preferably a steel or a plastic bin. Do not keep kitchen stuff in cardboard boxes as they are not meant for the same. 2. Pack the fragile items carefully – If you have some glass dishes which you use to serve guests and your friends you need to be extra careful while packing them. This is where you need to use bubble wrap for covering all the items properly. 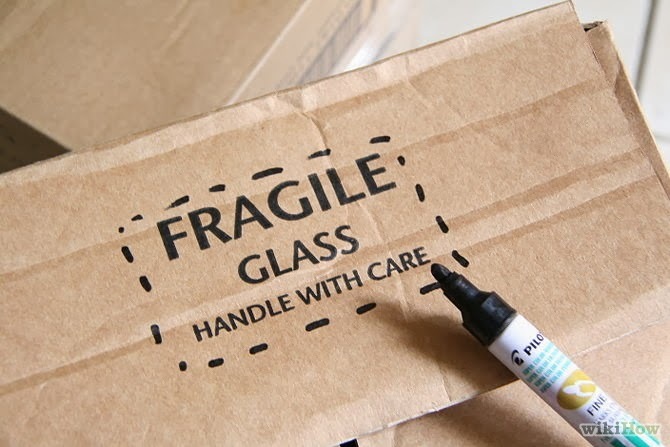 First use bubble wrap for covering all those precious items and then place them in a cardboard box as breakables can be stored in such boxes. 3. Store the silverware properly – If you allow moisture to come in touch with the silverware, it is likely to get damaged. Therefore first cover it using a sheet of paper and then place it in a cardboard box. Make sure that the paper is tightly wrapped over the silverware without leaving any gaps in any of the places. 4. Pad all the bulbs safely – The dining room bulbs ought to be covered with bubble wrap so that they are safely padded. Also make sure that all the wires and other connecting lines are wrapped in safely so that they do not get entangled. 5. Use belts for rugs – Roll the rugs in a proper manner with the help of old belts. In this way, with a little patience and some hard work you can make sure that your dining room essentials are packed properly before being ported to your new home.